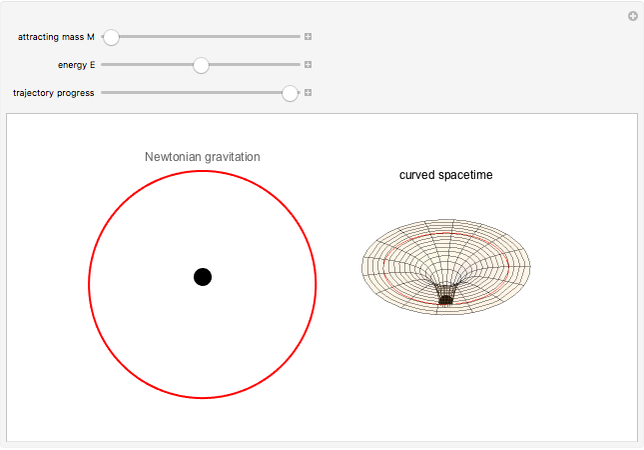 Einstein's general theory of relativity gives a completely different picture of gravitation. It is not a force, per se, but rather a consequence of the curvature of spacetime. As John Wheeler said, matter tells spacetime how to curve while spacetime tells matter how to move. 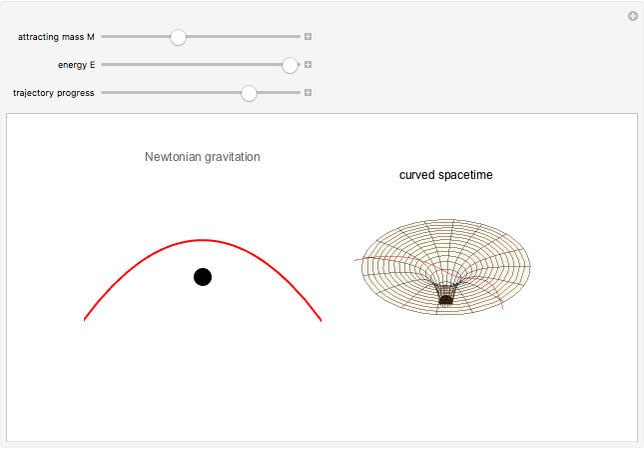 The right-hand graphic is a simplified representation of the curvature of spacetime caused by the mass . This has been likened to a cannonball warping a mattress. The test mass then moves along a geodesic path in curved spacetime, which reduces to a straight line in the absence of curvature. 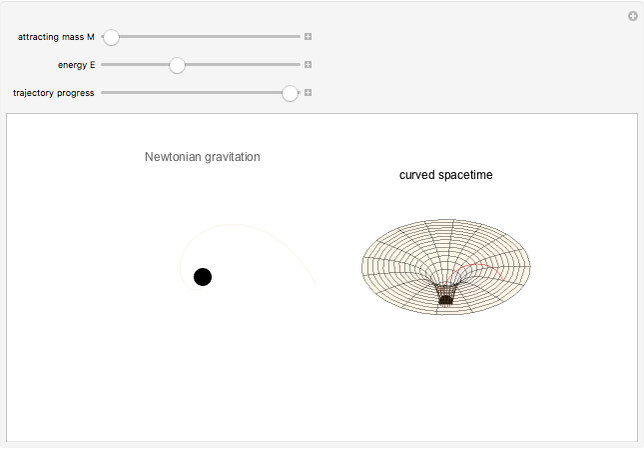 S. M. Blinder "Gravitation versus Curved Spacetime"